Pat Miller Evans, ’51, came from a family with strong Seattle and UW roots. Evans, who died on July 4, 2017 at age 88, lived until May in her Lake Forest Park home. She attended Roosevelt High School where she served as Girls’ Club President and won the Outstanding Senior Woman’s Award. Evans went on to serve as president of the Associated Women Students at the UW and was a member of Mortar Board and Alpha Phi Sorority. 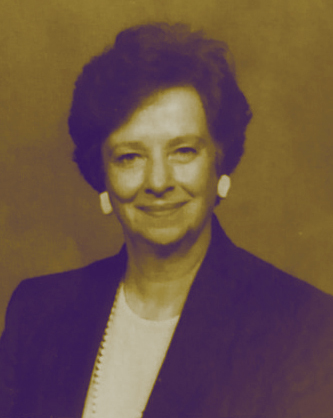 Her sister, Kay Miller Morrill, ’54, says Pat was a first-rate agate hunter. The family joke was if you went to Agate Beach in Oregon, you wouldn’t find any agates because Pat and her daughter had collected them all. Pat taught elementary school for two years before her four children were born and then devoted herself to their care. Evans attended most of her children’s and grandchildren’s sporting events, even going to the Netherlands and Spain to watch two grandsons play soccer, with side trips to England, Scotland and Wales. It was a real treat because Pat loved to travel and relished all things British. She also enjoyed being a master gardener, working on family genealogy and reading. Ira T. Miller, ’26, father to Pat and Kay, lived his own life of adventure. Born in 1894, he attended a one-room schoolhouse in the backwoods of Pleasant Valley, Washington, where his family homesteaded the land. As a radioman in the U.S. Navy during WWI, he crossed the Atlantic Ocean to England, France and even Ireland in a 110-foot wooden Submarine Chaser. Ira married Maebelle Lewis, who lived on the farm next door, before he headed off to war. Their son, Curtis Miller, ’42, also served in the U.S. Navy, during and after WWII, later making the Navy his career. When Ira returned, he earned his degree in Education from the UW in 1926. He then taught journalism at Broadway High School in Seattle for many years, and then briefly served as the Public Relations Director for the Seattle Public Schools before becoming vice principal of Lincoln High School for 13 years. 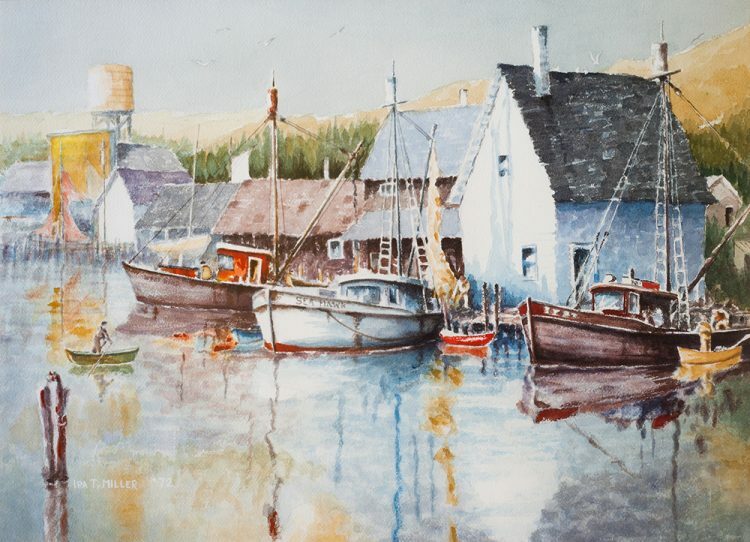 After his children grew older, Ira began creating the watercolor paintings that delighted his family as well as art lovers who collected his work. Many of his paintings were inspired during the time he spent traveling in this country and in Europe, as well as during the many years he spent at their summer place at Warm Beach, Washington. Ira continued to paint until his death at the age of 87 in Seattle in 1982.